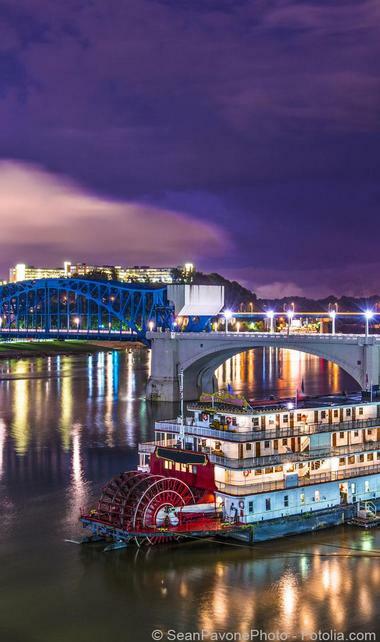 The fourth largest city in Tennessee, Chattanooga is an exciting weekend destination, home to beautiful parks, historic attractions, excellent museums, hotels, wedding venues and restaurants. See a sports game or a concert at Finley Stadium, go for a romantic stroll in Tennessee Riverpark, visit the Hunter Museum of American Art, and enjoy spectacular views from Lookout Mountain. Best Things to Do in Chattanooga with kids include Moccasin Bend National Archeological District, Creative Discovery Museum and Tennessee Aquarium. 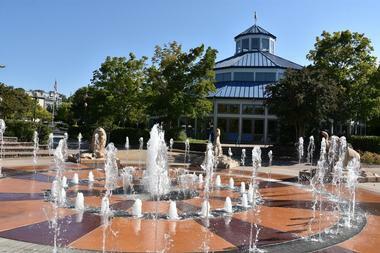 Tennessee Riverpark is one of the most popular Chattanooga parks, especially during the long hot summers. It starts at the Chickamauga Dam and winds for the next ten miles along the mighty Tennessee River until it reaches downtown Chattanooga. It is narrow and linear, between eight and ten feet wide, and has a well-lit trail and lovely landscaped grounds. It offers endless opportunities for a number of activities, or for simply enjoying the view of the river. The park has six fishing piers for avid fishermen and a boat ramp from which to launch your boat or dip your canoe into the water. An important part of the park is a marsh with a number of water birds and other types birds. A number of public art pieces are situated all along the path in the park. More weekend & day trip ideas: 20 Best Weekend Getaways in Tennessee. Best things to do in Chattanooga TN with kids include the Creative Discovery Museum, Moccasin Bend, Ruby Falls, the Tennessee Aquarium and the Tennessee Valley Railroad Museum. 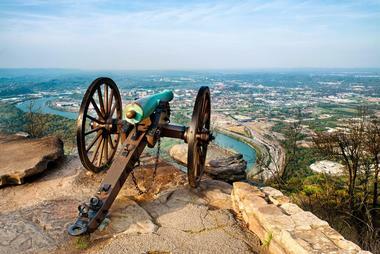 Lookout Mountain is a mountain ridge located along the southern border of Tennessee and one of the best things to do in Chattanooga. It offers a number of attractions that show the magnificent natural beauty of the mountain as well as spectacular views of the Chattanooga Valley. One of the most popular attractions is Ruby Falls, one of the world’s most fascinating cave waterfalls. Ruby Falls are the deepest commercial caves in the country and the largest American underground waterfall. A guided tour takes visitors through the cavern’s amazing rock formations and to the spectacular 145-foot tall underground waterfall. Outside the cavern, visitors can enjoy the sweeping panoramic view from the Lookout Mountain Tower. Before visiting Ruby Falls, check the schedule of their special events; there is always something fun going on. Keep reading for more Chattanooga, TN points of interest. You may also like: 10 Best Things to Do in Pigeon Forge. From Volkswagen-size catfish, giant freshwater stingrays, the powerful Arapaima, and bizarre-looking Wallago Catfish to the electrifying jellyfish and playful, frolicking otters, the Tennessee Aquarium is home to creatures that delight visitors of all ages, and one of the top Chattanooga attractions. The main focus of the aquarium is above and underwater life in Tennessee, which has some of the richest freshwater fauna in the country with more than 320 fish species. The aquarium exhibits are housed in two buildings where the visitors can follow the path of water from its mountain source to the sea. They can visit native animals from their backyards as well as some amazing and strange creatures from remote parts of the Earth. The exhibits are extremely realistic and show animals in their native habitats, some thriving and some facing the danger of extinction. More things to do: Great Romantic Restaurants in Chattanooga and Tennessee Railroad Valley. 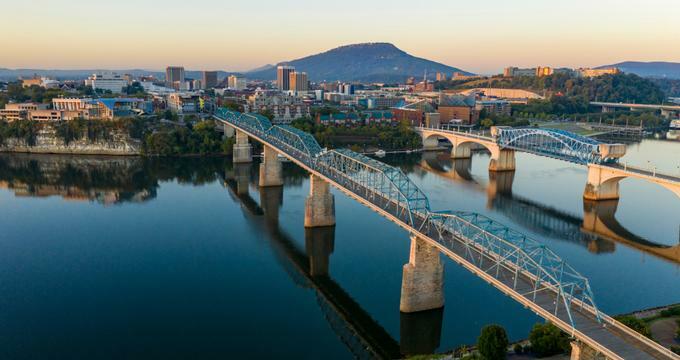 The Walnut St. Bridge, the longest pedestrian bridge in the world, connects the north shore of Tennessee River to downtown Chattanooga. 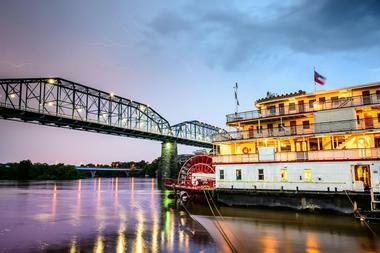 It is a favorite weekend destination of Chattanooga residents and visitors alike. Walnut Street Bridge, erected in 1890 and standing 2,376 feet high, was the first non-military bridge across the Tennessee River. The bridge was called the "county bridge," and at the time it was built it connected the mostly white south side city with the mostly black north side Hill City population. In 1978, the bridge was closed to all motor vehicles and today it hosts a range of events such as Wine over Water wine tasting and the Riverbend country music festival. Just outside of Chattanooga, Tennessee, Raccoon Mountain Caverns are a fascinating destination for the curious and adventurous. You can explore the mysterious cave system with more than 5 1/2 miles of mapped and explored passageways. New discoveries are being made all the time. 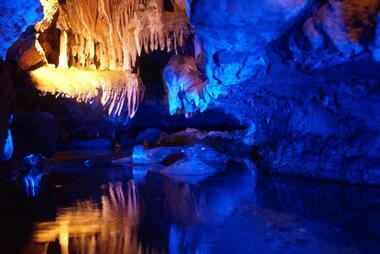 You can choose a 45-minute Crystal Palace Tour or go for one of the popular and thrilling cave expeditions. A visit to the Raccoon Mountain Caverns includes a number of popular activities such as panning for gemstones, taking an exciting ride in a go-kart, relaxing by the campfire, or enjoying the awe-inspiring views of Lookout and Raccoon Mountains. 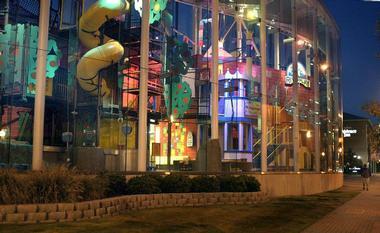 The Creative Discovery Museum is the place to explore, create, learn, and innovate through play. It is designed for children of all ages and their families, teachers, parents, caregivers, primary and secondary schools, and all organizations that work with children. 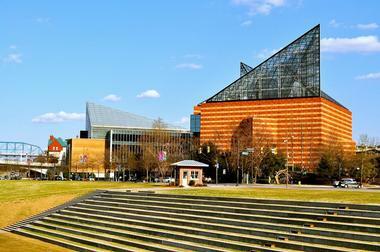 If you are wondering what to do in Chattanooga TN with kids, the Creative Discovery Museum is a great place to visit. The museum offers a range of programs such as art lessons, story times, science demonstrations, and what is called "spur of the moment" activities such as bringing a snake to the auditorium for kids to meet, touch, and learn about. Kids and their parents can go digging for dinosaur bones in the sand, come to the RiverPlay for some splashing, or get creative and noisy in the music studio. The museum also has programs for children with special needs and works closely with Chattanooga schools. 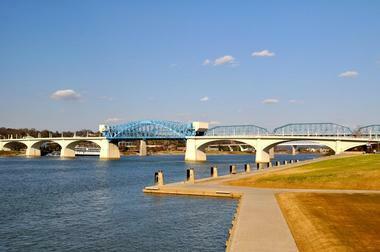 Located on River Street on Chattanooga’s North Shore, Coolidge Park is a popular waterfront park with open spaces, pleasant views of the Tennessee River, and the largest pedestrian bridge in the world: the Walnut Street Bridge. The park is part of the Tennessee Riverwalk: this is a 15 mile long greenway that runs along the Tennessee River from the Chickamauga Dam to the Southern Belle Riverboat. One of the most well-known features of the park is the historic carousel, a 100 year old carousel that has been restored. Children enjoy riding on the tigers, horses, and other animals. There is also an interactive water fountain and a rock climbing area. Located on Bluff View Avenue in the Bluff View Art District, the Hunter Museum of American Art is a fine arts museum sitting on an 80 foot (24 meter) bluff with views of downtown Chattanooga and the Tennessee River. Since 1952, the collection has been housed in a 1904 classical revival mansion designed by the son of President James A. Garfield, Abram Garfield; the building was expanded in 1975 and in 2005. Many of the works in the museum’s collection come from the Hudson River School. Other genres include American impressionism, modernism, and much more. The museum offers a variety of education programs for children and for adults. Located on East Second Street, the Bluff View Art District is a historic neighborhood in downtown Chattanooga. Stretching for one and a half city blocks, the art district is set high above stone cliffs that afford spectacular views of the Tennessee River, the Walnut Street Bridge, and downtown Chattanooga. It is a vibrant area full of art galleries, bed and breakfasts, coffee shops, courtyards, gardens, restaurants, and much more. The first business in the district opened in 1992 and many other businesses soon began to add to the charm and popularity of the area. Ruby Falls is a 145 foot high underground waterfall located on Scenic Highway at Lookout Mountain near Chattanooga. The popular waterfalls are in the Ruby Falls Cave, a limestone cave that is a part of the Lookout Mountain Caverns. 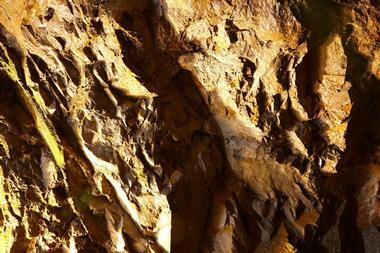 Inside Ruby Falls Cave there are well-known cave formations like stalactites and stalagmites. The falls are at the end of the main corridor of the cave. The stream is found 1,120 feet below the earth’s surface: the water comes from natural springs and is supplemented by rain water. The falls welcome groups including school tours, Boy Scouts and Girl Scout tours, and other groups. 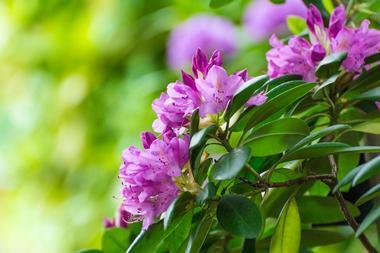 There are about 14 miles of hiking trails that meander through meadows and mountain slopes, a blue heron boardwalk, a butterfly garden, the Mollie Nelson Garden, and the Arboretum which contains many examples of plants that are native to the Southeastern U.S. The center also offers a variety of educational programs and tours. 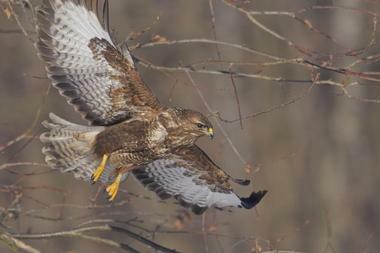 Audubon Acres and Maclellan Island are Chattanooga’s oldest wildlife sanctuaries. The 130 acre Elise Chapin Wildlife Sanctuary at Audubon Acres is the headquarters of the Chattanooga Audubon Society and includes a Visitors Center, the South Chickamauga Creek, the Cherokee Arboretum, and the Spring Frog Cabin. There are more than four miles of walking and hiking trails and the sanctuary is home to many kinds of plants and animals. Maclellan Island, also known as Maclellan Sanctuary and officially known as Audubon Island, is a wildlife sanctuary made up of 18.8 acres on an island in the middle of the Tennessee River. There are one and a half miles of trails and access to the island is by water only. 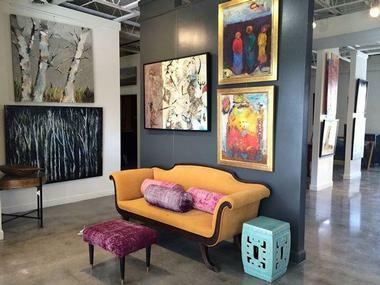 Gallery 1401, located in the heart of Chattanooga’s Southside neighborhood, has a diverse collection of art that will satisfy any taste and sensibility. This gallery, established in 1998, represents more than 40 well-established nationally and internationally recognized artists. The collection covers a full range of styles, from contemporary realism and impressionism to classical styles, and there are works in a variety of media: the gallery exhibits works on canvas and works made of paper, board, glass, and sculptures. You can find stunning original oils, watercolors, collage, bronze, drawings, photography, and hand-blown glass. The gallery organizes frequent one-person as well as group exhibitions. It is also a place to get advice on the right art for your boardroom, a gift for a special person in your life, or recommendations for the right kind of frame to use for a family portrait. The gallery is a stunning venue for celebrations and all kinds of special events. See the city from a unique perspective on the Southern Belle River Boat, “The Pride of the South.” Built in 1985, the river boat has a capacity of 450 passengers and operates on the Tennessee River around the Chattanooga area. Docked between the Oligiati and Market Street Bridges, the Southern Belle offers cruises every day. The regularly scheduled daily cruises are narrated and include lunch: on these one and a half hour tours passengers enjoy the scenery while learning about local history. The other tours are the Pilot House Tour, the Sunset Tour, and a variety of Dinner Cruises with music and dancing. The company offers group events from conventions to weddings. Places to stay: The Crash Pad in Chattanooga. Located on Cromwell Road, the Tennessee Valley Railroad Museum was founded as part of the National Railway Historical Society in 1960 to save historic steam locomotives. A permanent facility for the museum was built in 1970. This included a reconstructed rail line that allows the museum to run a heritage railroad. Passengers can enjoy a ride on the track through the Whiteside Tunnel also known as the Missionary Ridge Tunnel. The “Missionary Ridge Local” is a daily service and passengers learn much about the history of the trains. 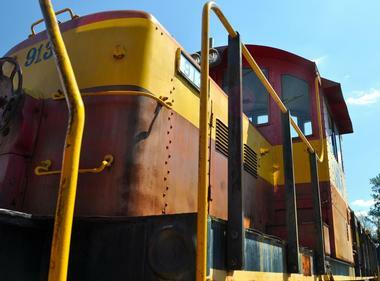 Some of the historic steam locomotives include the “Southern Railway 4501” and the “Baldwin 349.” The museum welcomes school field trips and hosts birthday parties. The Chattanooga Market is an arts, crafts and farmers’ market located on Carter Street in the open-air First Tennessee Pavilion. Held every Sunday from April to December, it is the area’s largest producer-only market of its kind with more than 300 vendors and up to 6,000 visitors on a typical weekend. 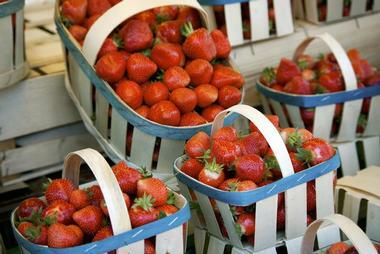 Founded in 2001, the market is modeled after the Saturday Market in Eugene, Oregon. All items sold at the market must be created, grown, or hand made by the person selling the product. The market is also known for its vibrant program of weekend events such as celebrity chef competitions, an arts event called Holiday Market, Oktoberfest and bluegrass celebrations, and more. 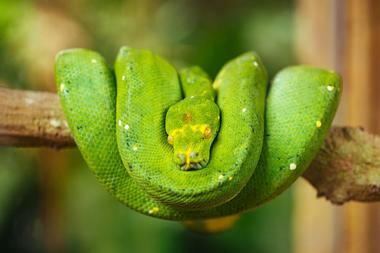 Located on North Holzclaw Avenue, the Chattanooga Zoo is a 13 acre zoo in Warner Park. The zoo is made up of several exhibits, the most popular one being the Himalayan Passage which hosts the world’s largest indoor red panda exhibit; there are also Hanuman langurs and snow leopards in this exhibit. The Gome Forest hosts a large number of chimpanzees. It is an indoor/outdoor facility with an interpretive center called the Donovan Interpretive Center. The Tennessee Stillhouse is a micro-distillery and tasting room located on Market Street in downtown Chattanooga across from the historic Chattanooga Choo Choo. 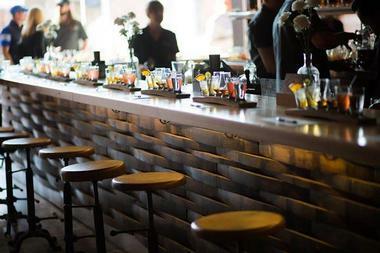 The micro-distillery uses barley, corn, and rye and then processes them through cooking, fermenting, distilling, and bottling to produce fine local whiskey. Opened in 2015, it is the first legal distillery in Chattanooga and is part lab and part museum. Tours of the distillery are available and each tour includes a taste of Chattanooga whiskey as well as information about the making of whiskey. The distillery uses old whiskey barrels from pre-prohibition times. 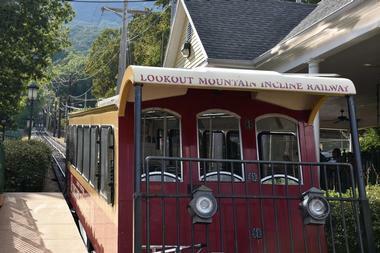 The Lookout Mountain Incline Railway played an important role in the American Civil War. After the war, tourists began to visit the area at the top of the mountain to see the sites of the famous battles as well as the Natural Bridge, Lula Lake, Whiteside Park, and other places of natural beauty in the area. A luxury hotel was built at the summit of the mountain and a railroad was built to reach the hotel. After 100 years of operation, the railway ride up to the top of the mountain is still a popular attraction in the area. If climbing on real rock is on your to do list, it would be a good idea to get some basic training first with Lisa and Wills at High Point Climbing and Fitness Riverside. With 10,000 square feet of rock climbing space and all kinds of climbing tools, it is one of Chattanooga's best-equipped climbing facilities. Lisa Rands and Wills Young are AMGA-certified professional climbers, and they offer classes for all experience levels; they’re always happy to help you get to the next level. 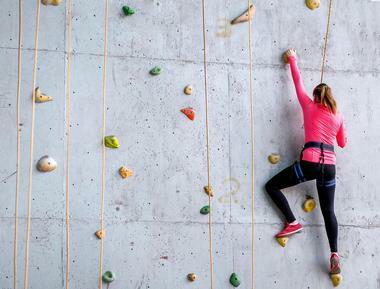 High Point Climbing facility has climbing areas for everyone, including auto-belay walls, top ropes, and leading climbing. They also have a 3,000 square foot large bouldering area. In addition, High Point offers aerobic classes, weight lifting, and yoga rooms. 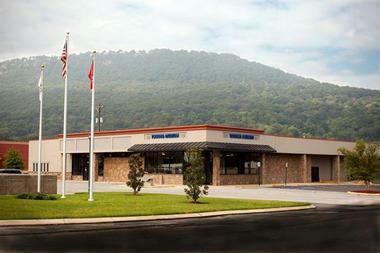 The International Towing and Recovery Museum is located on Broad Street in Chattanooga. Started about 20 years ago, the museum displays restored antique equipment from the tow truck industry as well as antique wreckers. The museum found a permanent home in 1995 and also features related equipment, tools, toys, and pictorial histories. The Ernest Homes Company in Chattanooga built the first tow truck several miles from the current museum. The collection includes not just tow trucks, but also miscellaneous antique artifacts, memorabilia, and toys. The “Wall of the Fallen” memorial is dedicated to those who lost their lives during the line of service. More places to visit: 17 Best Things to Do in Nashville.